Nothing could be more romantic than a destination beach wedding or vow renewal along the pristine white shores of the Florida Emerald Coast. Our sublime beaches and natural beauty create an enchanting destination for lovers and dreamers of all ages. You may be considering a semi or formal event, a casual gathering, or an intimate elopement. 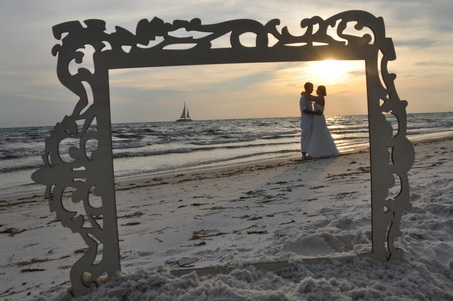 Florida Nuptials has a staff of Destin Wedding Officiants, Panama City Beach Wedding Officiants, and Ministers to provide services for unique and personalized wedding ceremonies at the location of your choosing within the greater Emerald coast region of the West Florida panhandle. You may spend hours agonizing over attire, color schemes, song selections, menus, and so many other details of your wedding. Take a moment to think about what you want from the Officiant who will seal your vows. We have provided a guideline of questions for Officiants to assist you with interviewing during the screening process. 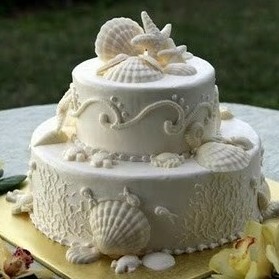 When you are ready to decide, we hope you will consider the professionalism and dedication of Florida Nuptials. Our officiants look forward to working with you and your chosen one to make your day a very special and memorable event. Our Destin Wedding Officiants and Panama City Beach Wedding Officiants service the greater Emerald coast region of the West Florida panhandle. Travel fees apply to portions outside of the Destin / Ft. Walton Beach to Panama City Beach range. The bridal couple is responsible for obtaining a Florida Marriage License at any clerk of courts office within the State. If you are coming in on a weekend or are unable to obtain a license during a weekday (Mon.-Fri.), we can assist on your behalf through ﻿Florida Marriage License Services﻿. Please fill out the "Contact Us" form to check for availability or to schedule a booking. Photography services for wedding and family portraits. Rentals for parties and receptions.